Economy Waste Services: Recycling Bins Can Actually Boost Your Bottom Line! 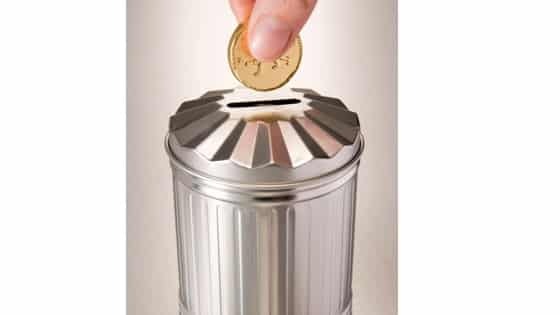 If you have found today’s blog – you are certainly looking for ways to save money with economy waste services for your business. We can certainly help you with that – and we will describe how our business model lets us make profits whilst helping you cut costs and boosting profit. At Waster – we were founded to help small businesses just like you. We know what is important to you in economy waste services – from attentive customer service, simple invoicing, understandable terms and conditions and no hidden extras. Waster was designed for small and medium Aussie companies. We had worked at the big multinationals in industrial waste removal – and knew how small customers got a raw deal. Our business model provides all the economy waste services and recycling that a small or medium business could need – all on flexible waste contracts -so you do not need to worry about rollover clauses or lock in contracts. See our blog on confidential paper bin services. Economy waste services – how our services can help you save money! 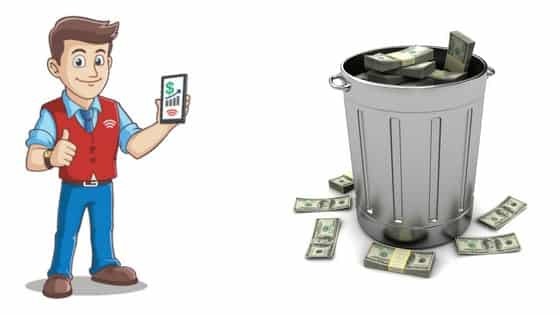 Before we explain how we can save you money through our economy waste services – we should explain how we actually make money! Waster does not operate landfills – as we are unlike other waste companies who own big wholes in the ground – we have no financial incentive in dumping at landfill. By not dumping at landfill – you save money – as you avoid landfill gate rates (i.e. the ever increasing fee per tonne – that is dumped) and also the ever increasing landfill levy – i.e. the tax imposed by State Governments to supposedly incentivise recycling. The combination of the gate rate and the landfill levy means that in Sydney – you can pay up to $300 per tonne just to dump – i.e. not even paying for the truck to collect and transport the rubbish. Waster does not profit by dumping and hence we profit just as much from recycling bins. Recycling bins such as cardboard or commingled bins – are significantly cheaper than general waste. This means – if you can divert rubbish to recycling – i.e. put your bottles, cans, cardboard, organic waste etc in recycling bins – you can reduce your waste bin – this is what we mean by economy waste services. One way to think about it is to see dollars in your bin every time your general waste bin is collected. With Waster – you can save money, boost recycling and get a regular, reliable service. Knowing where your waste goes and how recycling can save you money is vital for all businesses in 2018!